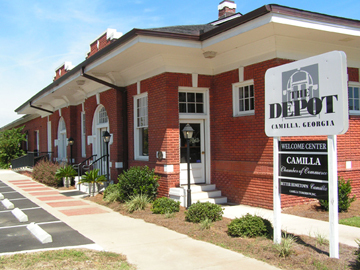 The depot was Camilla’s hub for transporting crops back in the early 1900’s. Through the years, it has been rebuilt and restored. It is currently the city’s welcome center, and where local artists display their art. 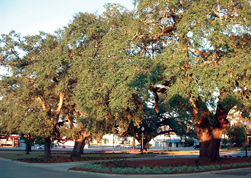 It is located at the intersection of US Hwy 19 and Broad Street. This locomotive, formally known as Engine #9, was refurbished through the efforts of citizens in the community. Two Post Offices located in Mitchell County display murals from struggling artist during the depression. “Theme of the South” by Laura G. Douglas is on display in the Camilla Post Office, and “Pelham Landscape” by Georgina Klitgaard in the Pelham Post Office. 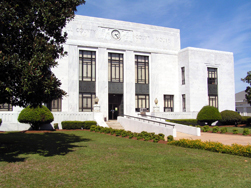 The Mitchell County Courthouse, built in 1936, is well known for its architecture and construction from beautiful white Georgia marble. It is located in downtown Camilla. This courthouse was the site of the 1868 “Camilla Massacre”, and is on the National Register of Historic Places.